La Maison Jolie: Luxe Walls by Julia Hill - Where Style Meets Function! 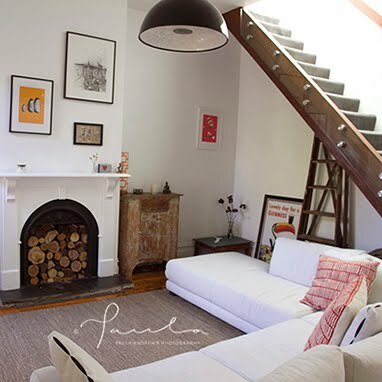 Luxe Walls by Julia Hill - Where Style Meets Function! 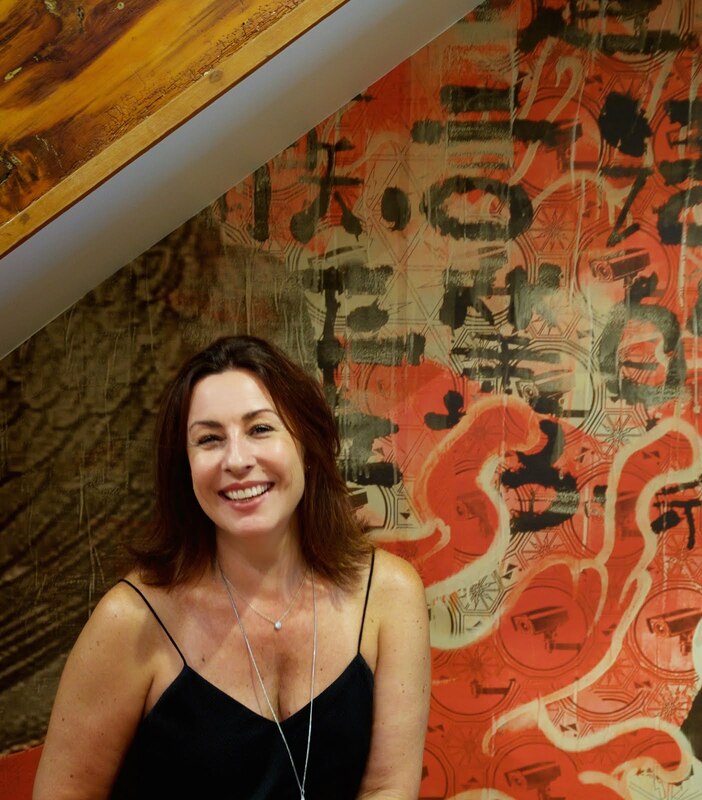 In a world of constantly changing style trends and instant gratification, designer Julia Hill is certainly putting her own stamp on bespoke interior design. 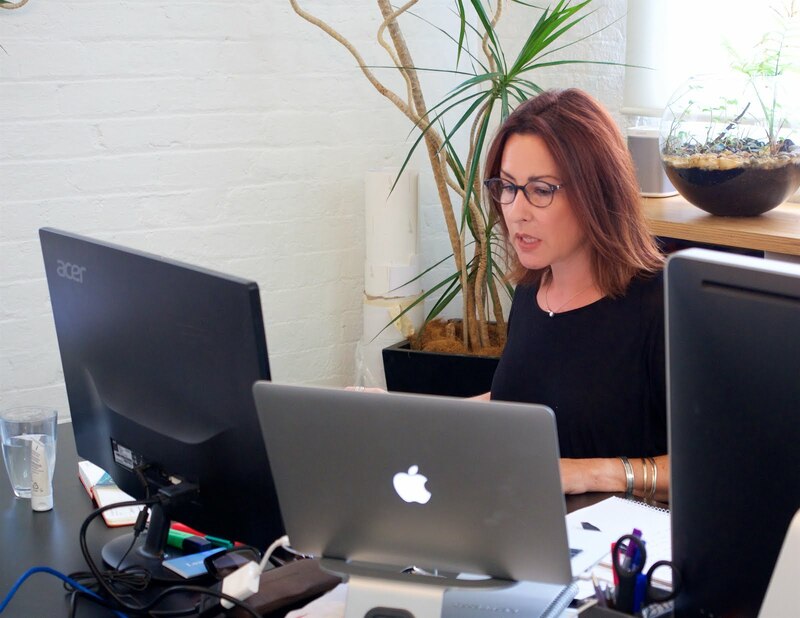 After a successful career in publishing and with a strong background in the fashion industry, Julia has recently turned her sense of impeccable style, design and passion to interiors. 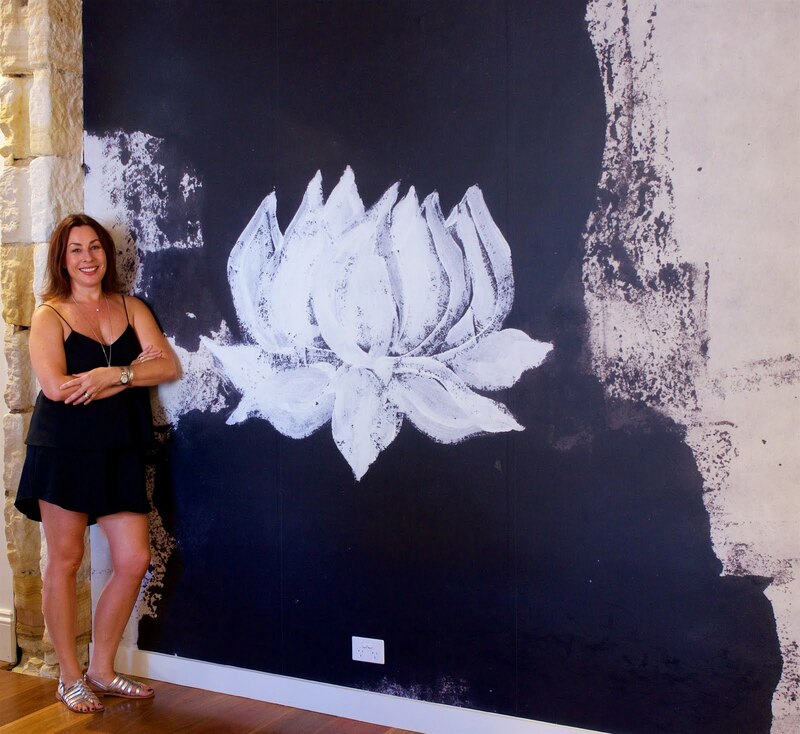 Julia is the founder of new and bespoke Australian wallpaper brand Luxe Walls. 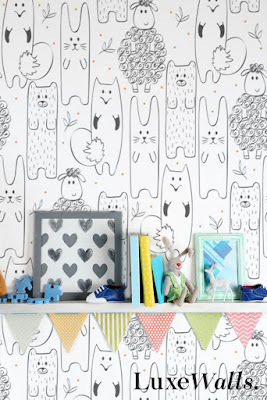 It is a versatile self-adhesive wallpaper that can be printed to your design specifications. The wallpapers are fully removable making it easy to apply and use in a number of ways to cover endless design needs. 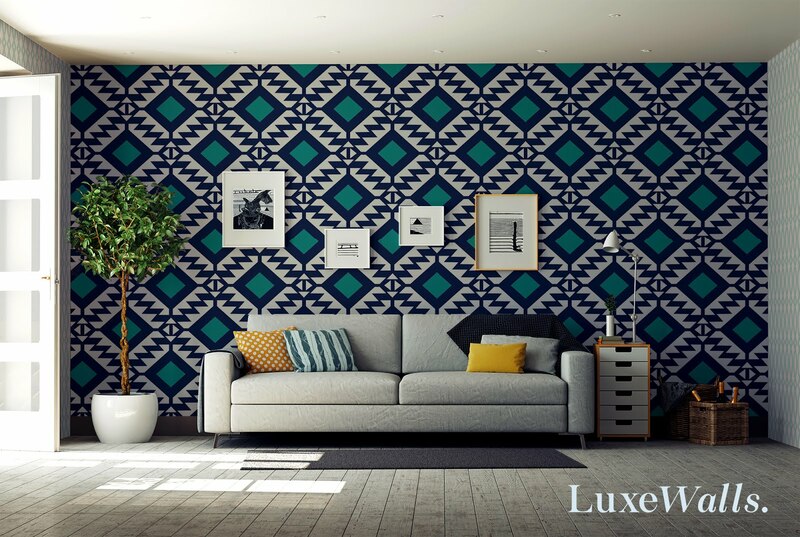 Whether you are looking to transform the mood of a room, reinvent your home, camouflage a wall or simply add some visual interest, Luxe Walls can help you create an imaginative and unique space! 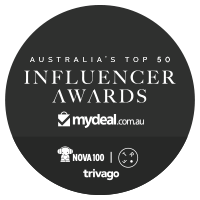 I had the opportunity to chat with the gorgeous Julia Hill and was inspired by her zesty outlook and her keen sense of style and business. Ever since I can remember I took a keen interest in fashion, enjoying how I dressed and accessorised. After many years working in the publishing industry, I took the plunge and created my own accessories and clothing range, Mimi & Me and Julia Hill. With a love for form, balance and style, I was inspired by minimalist and Asian influences, with each piece offering an understated, classic elegance. 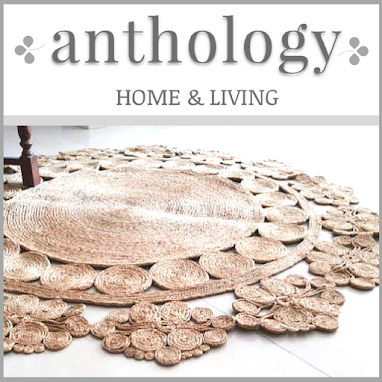 During that time, I took a great deal of direction and inspiration from the homemaker magazines as I could see the style connections and trends that were in sync with the fashion we wear. 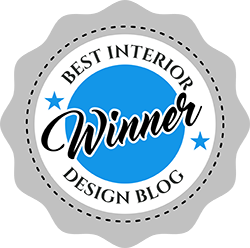 I am so excited to turn my passion for design to interiors, with a specific dream that allows you to inject personal taste and style into any space and best-of-all - on a budget! 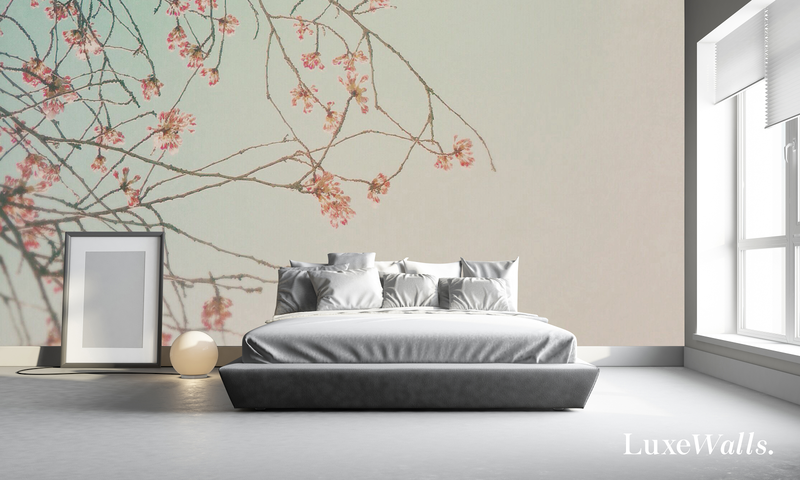 What has been the inspiration behind Luxe walls and your bespoke designs? Whilst renovating my own home, I wanted to dress feature walls and couldn’t find the right thing. I wanted something that was not permanent but would look amazing. After speaking to my friend Andrew who is in the Grand Format Printing business, I learnt about removable wallpaper and my problem was solved. Following my renovation, I had so many comments about the walls, that I realised other people are also looking for interesting wall coverings that deliver a personal stamp. 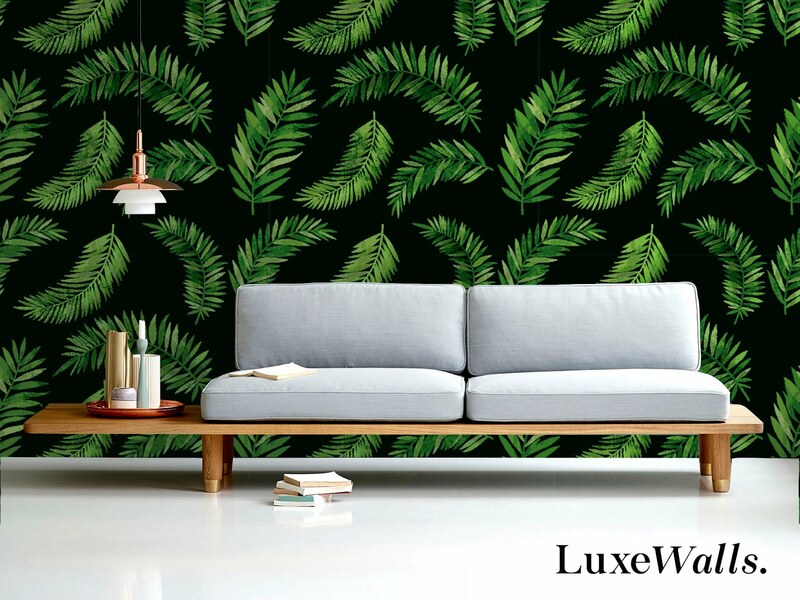 The result is a new partnership with my lifelong friend and Mesh Direct’s founder, Andrew Doenicke, to launch Luxe Walls. Luxe Walls offers a platform to promote up and coming artists and gives them exposure to a new audience and a new medium. I love that Luxe Walls can do this, as it gives artists of differing talents and styles another marketing opportunity. 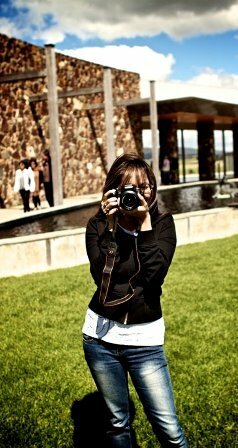 Living in Tokyo when I was first married, gave me a strong taste for Japanese design, art and style. I also love geometrics, vintage, contemporary, textured finishes and of course our featured artists - Robin Appasamy for her relaxed textural art and Cara Jane Diffey for her street designs. I’m constantly on the look-out for new style ideas - it could come out of a conversation with a colleague or even be picked up from a local cafe. There are ideas everywhere! I am always looking at Pinterest and Instagram to see what people are doing in their homes, the clothes they are wearing and the way they live their daily lives. 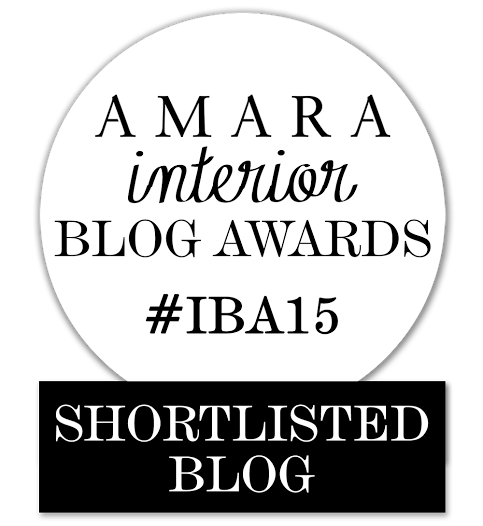 It gives me an insider’s view of what appeals to people in both their homes and workplaces. This is in constant change of course, so keeping ahead of the trends is crucial to success in design. There are definite links between fashion, home and lifestyle and I get a buzz out of finding new designs that our customers can fall in love with. Perfecting our customers’ online experience with Luxe Walls. Staying on top of the trends and ensuring we have the best designs to fill our customers’ needs. Wallpaper of course! With our new self-adhesive/removable wallpaper you can DIY your wallpaper with no mess. Due to the advancements in digital printing, we can replicate any image you can imagine - feature walls/metallic/murals and faux finishes or an image from your personal photo album. Pantone has spoken and greenery is the colour for 2017. With this in mind I expect to see lots of green - especially used as an accent colour. I think the neutral palette with greys will remain strong - our damask prints from the traditional range are very popular and work well with the casual chic look. Texture is a huge trend at the moment - be it in wallpaper/ rugs/ and throws. Raffia and Rattan are also having a strong presence. Terracotta - expect to see pots everywhere! Darker tones in furniture are making a comeback, and work beautifully with green. 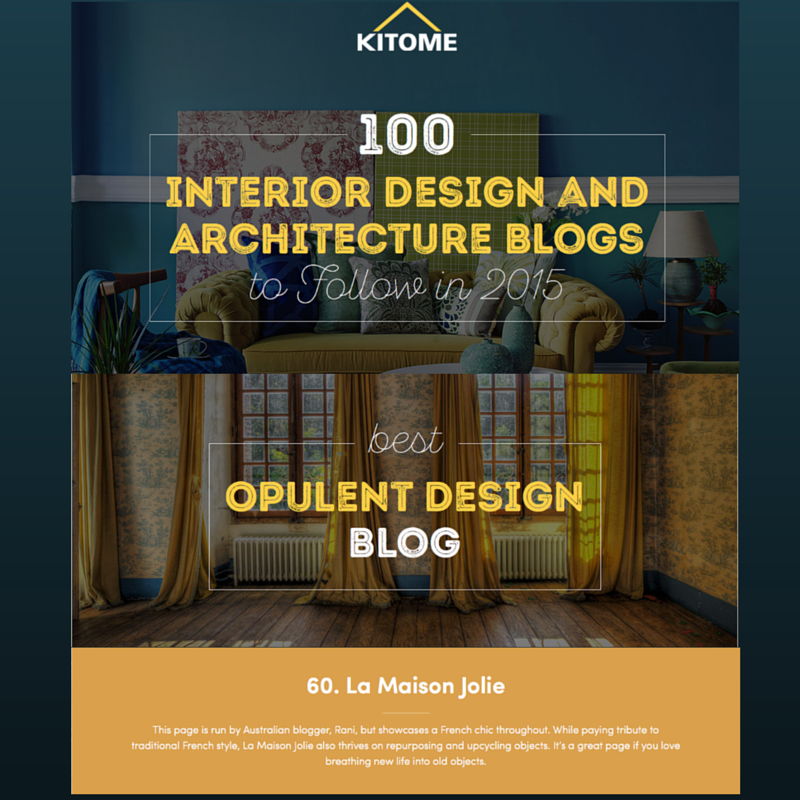 If you are truly creative and passionate about interior design, you will succeed. Follow your instincts and be true to your own individual style. There is always room for something new and trends are transient so persistence and a genuine eye for trends is essential. I am a shoe-aholic! When I travel my suitcase has more shoes than clothes! I am addicted to change. My favourite way to spend an unplanned afternoon is to wander around an art gallery. I love all my home! I especially love my new open plan kitchen/living/dining area that looks out to our entertaining deck. The Luxe Walls Lotus wallpaper we hung in this space looks stunning and ties the exposed sandstone of the original 1870’s part of the house in perfectly with our new kitchen and living spaces. I also love my wardrobe - I can see all my shoes! Where do you see Luxe Walls in five years time? 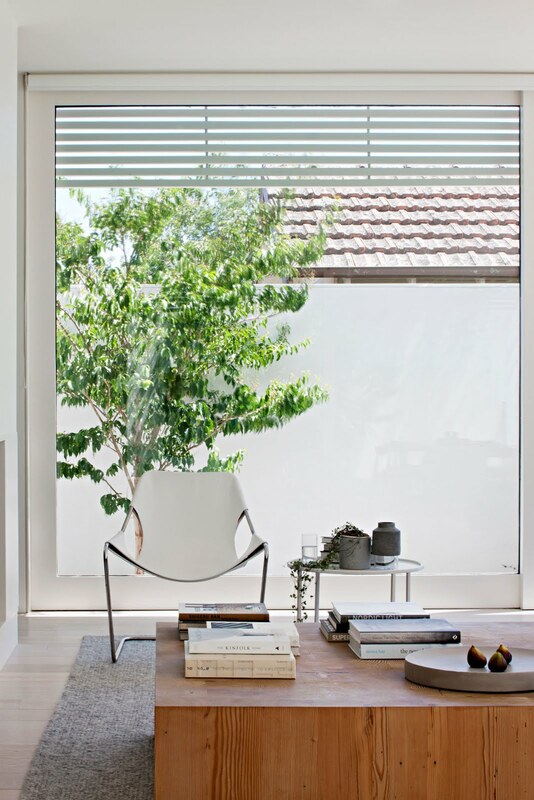 Encouraging and inspiring amateur interior decorators - everyone can be one! 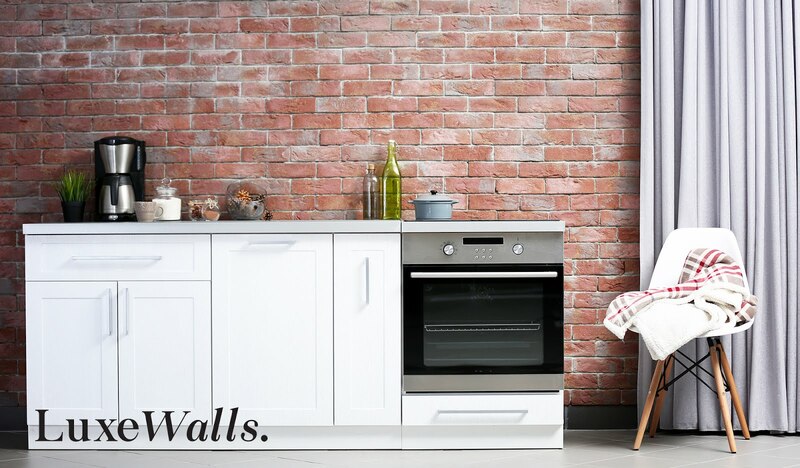 With a strong belief in 'form meets function' design principle, Julia's new venture Luxe Walls promises to deliver on both! 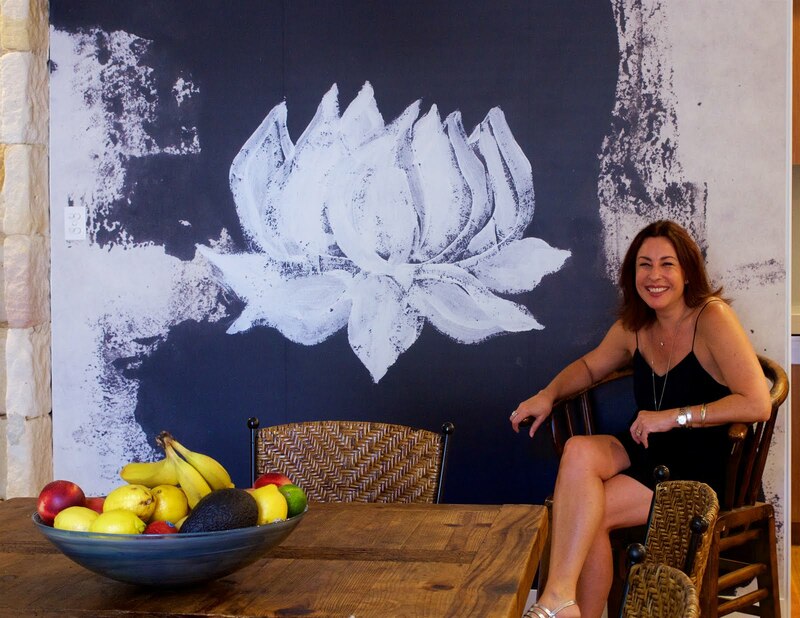 Her motto "Luxe Walls is for anyone who cares to create!". 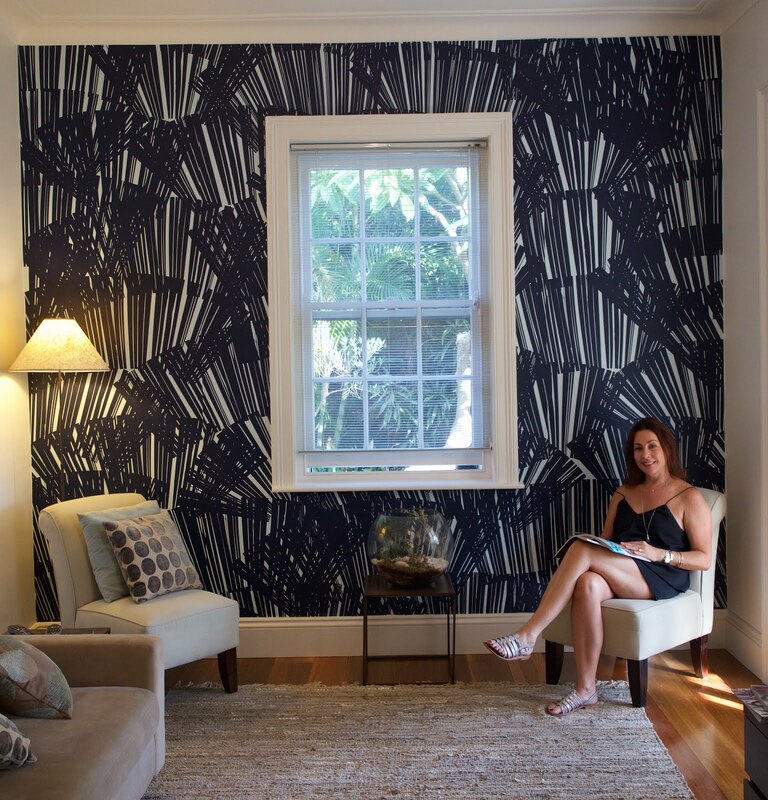 Wallpapers are a fantastic way to decorate or renovate your home. And if it is removable... even better! Pick one that speaks to you or why not design your own? 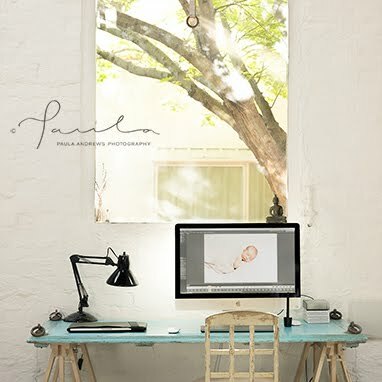 Check out their new website for tons of design inspiration. 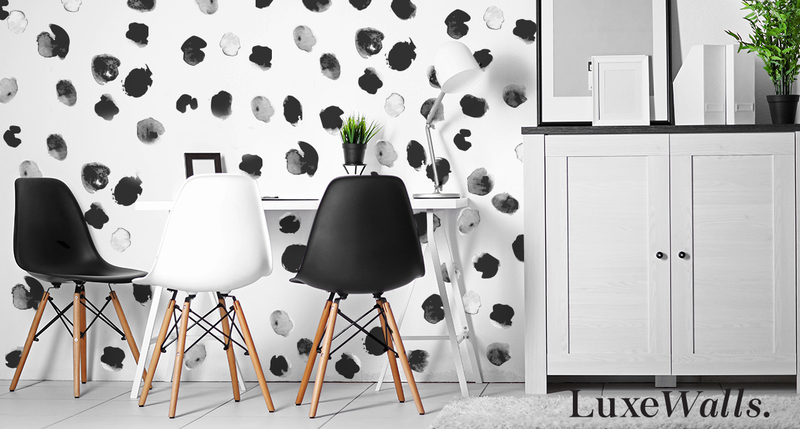 As a special introductory launch offer Luxe Walls are offering a 10% discount to all new customers. Just enter the code LUXELAUNCH. How great is that! Till next time... add a touch of luxe to your walls!